Darlene Koldenhoven is a Grammy award-winning vocalist with an impressive resume that includes her role as the soprano soloist in the Yanni Live at the Acropolis performance, as well as having appeared in the movie Sister Act portraying a choir nun. 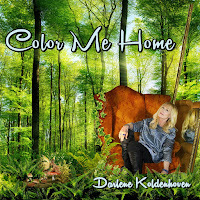 Her ninth album, Color Me Home, is an exquisite eleven-track excursion which Darlene produced, engineered and composed the lyrics and music for, as well as sings, plays piano, synthesizer, native drums and shakers on. Beautifully and thoughtfully packaged, the CD includes a coloring book depicting images of nature, perfectly illustrating a spectacular collage of diverse arrangements and instruments. In what could perhaps be best described as a fusion of classical crossover, contemporary instrumental and new age vocal music with an often-touch of subtle world elements, the album’s track lineup alternates between sung lyrical compositions and instrumental pieces that feature wordless vocal intonations. Joining Darlene on this musical adventure is a team of talented artists, of which includes Tom Scott, Brent Fischer, Ricky Kej, Wouter Kellerman, Charlie Bisharat, David Arkenstone, Rocky Dawuni, Gayle Levant, Jeff Oster, Al Jewer, John Sarantos, Mike Miller, Lyn Bertles, Nick Vincent, Courtney Jacob, and Vanil Veigas. “First Light” opens the album with the rolling, soothing sounds of ocean waves coupled with singing birds, before soon introducing a lovely ensemble comprised of piano, keyboard, oboe, flute, piccolo and violin. Further enhanced by its radiant wordless vocals, the composition seemingly paints an image of golden sunrays pouring through the trees of a lush forest, in what feels like a magical storybook having come to life. “The Pleasure of the Mourning Dove” follows next, a piece that aptly begins with the cooing of a dove. 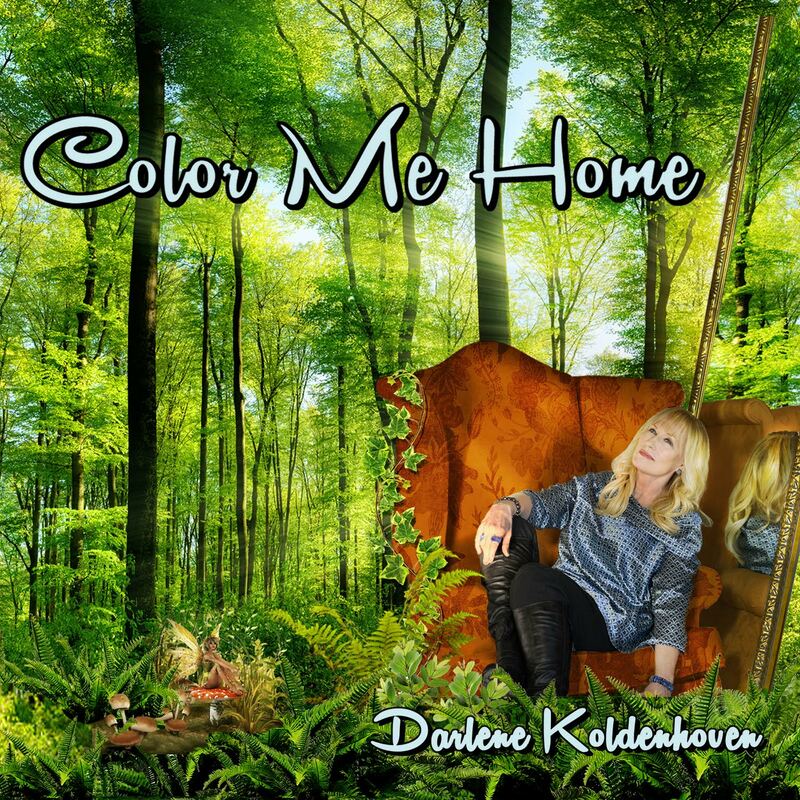 Here Darlene offers up a lyrical melody, her soprano voice perfectly complementing the song’s elegant arrangement of piano, violin and viola. “Kalahari Calls” is easily one of my favorite compositions herein; its African safari flavor and leisurely chill vibe conveying a sunny, tropical terrain filled with luxuriant jungles and rainforests. A mesmerizing ensemble of flute, piano and tribal percussion is further accentuated by airy wordless vocals that seem to whirl about its beautifully exotic landscape. The sound of wading through water introduces “Song of the Swans”, another lyrical song that possesses a somewhat mythical feel. Darlene’s soaring soprano vocals in tandem with the classical touches of clarinet and harp seem almost cinematic, as if a narrative has unfolded about a fairytale princess or sleeping beauty who has found herself in an enchanted land. Characterized by native flute and drumming, “Indian Summer” is another one of my favorite pieces on the album. Here I’m reminded of a glorious sunset softly illuminating a vast canyon. This image is further crystalized by sparking piano and swirling chimes, along with both siren and tribal-esque voices that seem to soar above the terrain. Equally captivating is “Ode to Our Orb”, another piece accentuated by Darlene’s soaring wordless vocals, as well as features the additionally amazing talents of David Arkenstone on guitar, along with Ricky Kej and Vanil Viegas on keyboards and rhythm. The composition’s earthily sensual and shimmering soundscape combines elements of ambient, world and contemporary instrumental music, and feels as blissfully rejuvenating as that of standing beneath a waterfall in a paradise lagoon. For more information please visit the artist's website. This album is also available on Amazon and iTunes. This review was originally published on Journeyscapes Radio on 02/23/17. 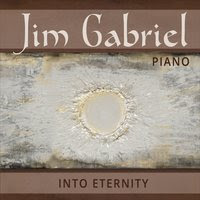 Into Eternity is the sophomore release from pianist and composer Jim Gabriel, and follow-up to his debut album, Sojourn. Comprised of twelve compositions recorded at Imaginary Road Studios in Vermont, Into Eternity was co-produced by guitarist Will Ackerman and multi-instrumentalist Tom Eaton. Both are also guest musicians on the album (with Will on acoustic guitar and Tom on electric guitar, bass and accordion), along with Jill Haley on English horn, Jeff Oster on flugelhorn, Gus Sebring on French horn, Eugene Friesen on cello, Charlie Bisharat on violin, Tony Levin on bass, and Noah Wilding on vocals. “From the Rising of the Sun” opens with gently tip-toeing notes in the higher register, eventually blossoming into a vibrant and colorful melody. A gently uplifting introduction, this piece is one of a handful of the album’s solo piano compositions, of which are interspersed among other elegant ensemble pieces. “Winter” is an especially beautiful piece that bears a similar feel to some of George Winston’s works and other classic Windham Hill recordings. Beginning with trickling piano droplets in the higher register, accompanying cello and French horn lend a touch of nostalgia to the composition, which is led by a flowing piano melody that seemingly captures the essence of hurrying through the snow in a winter wonderland, or possibly even a figure-skating couple dancing in an icefield. I’m also especially fond of the title track, “Into Eternity”, a notably atmospheric and contemplative number that features drifty piano chords enshrouded by ambient guitar textures. “First Light” is another particular highlight in which pulsating piano notes in the lower register underlay the composition’s main melody, perhaps mimicking that of an approaching beacon of light. Further complimented by ethereal wordless vocals and suspended flugelhorn notes, the piece brings to mind that of a ship at sea sailing towards a lighthouse in the distance. The likewise especially noteworthy, “Midnight”, is a Coldplay cover that feels appropriately nocturnal and introspective, which Jim has beautifully rendered on solo piano. By contrast, “Americana” is one of the album’s brightest and boldest compositions featuring English horn and cello. Possessing a certain hymnal quality, this piece feels both patriotic and inspirational, as it seemingly paints an image of an old chapel in the countryside. The ninth track, “Goodbye for Now”, lends a wonderful seasonal contrast to the comparatively snowy, “Winter”, with its air of warmth and leisure that’s further enhanced by acoustic guitar and accordion. Review originally published on Journeyscapes Radio on 02/17/17. 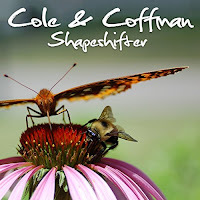 Shapeshifter is the collaborative release by Scott Cole and Matthew Coffman, who create an intriguing blend of music that ranges from experimental ambient to acoustic, avant-garde and instrumental world fusion. Comprised of thirteen compositions, the album features an eclectic variety of instruments played by the duo, which include mountain dulcimers, bass, electric and acoustic guitar, synthesizer, keyboard, sitar, flute, reed instruments, didgeridoo, ukulele, cajon, melodica, guitarron, resonator, udu, and other percussion. “Arc” opens the album with oscillating pulses, immediately reminding me of Steve Reich’s seminal Music for 18 Musicians recording. Sitar, percussion and bass guitar soon join the ensemble to form a minimally melodic and experimental world fusion soundscape that’s not too unlike the ‘fourth world’ music of Jon Hassell. “Strength Will Come” ensues with nocturnal calls and droning, earthy sounds. One of the most intriguing pieces on the album, it progresses into a rhythmic pattern of spinning strings and atmospheric textures, seemingly flowing organically along an improvisational and unpredictable path. Following next is “Emerging”, a more discernably melodic piece that begins with the peaceful sound of ocean waves and gentle acoustic guitar, which are soon accompanied by reed instruments and percussion. The duo also lends an interesting twist to the popularly rendered song, “Scarborough Fair”, which opens with dreamy synthesizers and prominent bass guitar. Flute and reed instruments provide the lead melody among oscillating effects and a pulsating rhythm, curiously bringing to mind that of sailing away at sea while simply allowing the currents to guide their own course. Supported by guitar, synthesizer and subtle percussion, “Calm H2O” is another highlight characterized by lovely liquid bell tones, which not only perfectly conveys the water element, but also reminds me a bit of Balinese music. Closing out the album is “View of the Valley”, an upbeat tune with a rumbling-type rhythm that features didgeridoo and electric guitar. A likewise particularly intriguing piece, it seemingly blends indigenous Australian and Irish music with hints of psychedelic rock. This album can be purchased at Amazon, iTunes and Bandcamp. This review was originally published on Journeyscapes Radio on 02/04/17. 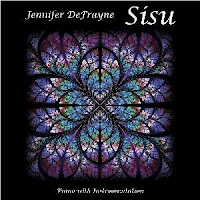 Sisu (pronounced see-soo) is the sophomore release from Jennifer DeFrayne and follow-up to her critically-acclaimed debut album, By a Wire. A self-taught pianist and composer of Finnish decent, Sisu is a Finnish word describing “a mindset that enables an individual to reach beyond their present limitations, take action against all odds and transform struggles into success.” Such a description couldn’t be more fitting for this album, one that has been conceptualized by an artist who experienced a series of personal tragedies, while her truest companion, the piano, guided her along through her pain and suffering. Comprised of twelve compositions written by Jennifer and produced with Corin Nelson, the album additionally features a handful of talented guest musicians throughout. Among them include Jeff Haynes on percussion, Premik Russell Tubbs on electronic woodwind instrument and saxophone, Michael Manring on bass guitar and EBow, Jill Haley on oboe and English horn, Sarah Milonovich on violin and vocals, Jeff Pearce on ambient guitar, and Jeff Oster on flugelhorn. 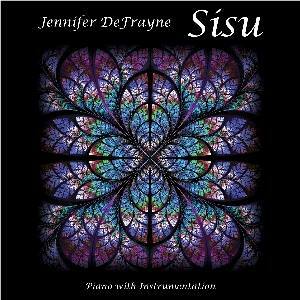 The album begins with “Fire Island”, a piece named for the English translation of Jennifer’s Finnish maiden name. Her beautiful piano leads with a somewhat poignant melody, which is complimented by subtle percussion and bass guitar. Capturing the essence of the far north, the piece brings to mind that of a lone woman standing by the shore beneath an overcast sky, in which the accompanying electronic woodwind instrument serves as a gentle breeze throughout. “Be Who You Are” follows next, a song about following one’s own passion. Its piano melody moves fluidly through the upper and lower registers, with sparkling warmth akin to sunlight softly pouring through a window, while the composition’s accompanying instruments of English horn, violin and gentle percussion lend gentle support. The title track, “Sisu”, ensues with the most incredibly beautiful melody of all, surely destining it as one of my favorite piano compositions of the year. The album’s lengthiest piece clocking in at over seven minutes, I had to give it repeated listens in order to take in all the beauty and emotive expression it has to offer. The composition’s main melodic hook cascades in a gentle rise and fall, stirring up the emotions, then tapers back and repeats again. Graced with a solemn classical touch, its poignant expression is further enhanced by accompanying violin, while the electronic woodwind adds an extra layer of dreaminess. “Beyond” follows next with alternating delicate and starker piano notes, as ambient guitar mimics warm, enveloping synthesizers, while flugelhorn weaves softly suspending notes among the soundscape. The sixth track, “Palo Santo”, is another particular favorite, named for a sacred tree in South America that means “holy wood”. Electronic woodwind introduces the piece in a manner that deftly mimics an indigenous flute, effectively painting an image of someone standing atop a mountain while overlooking the landscape. Piano gently follows, waltzing back and forth while reverberating throughout the space, as the woodwind lends an exotic touch that’s further enhanced by breezy wordless vocal intonations. 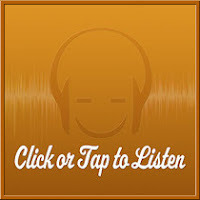 Concluding the album is the aptly-named, “Perseverance”, an elegant piece that features a gentle arrangement of piano, oboe, English horn, violin, wordless vocals and percussion. Conveying a sense of joyful solitude, the piece feels like an ode to a new day, perhaps serving as a gentle reminder that the sun will still rise tomorrow. Review originally published on Journeyscapes Radio on 02/01/17.